Nature is the primary teacher. We have an infinite amount we can learn from plants, patterns, landscapes, animals and soil about ourselves and our relationships with each other. Guiding others to deeper their connection with nature is an art form that can be further developed through study or simply by doing. Although nature is our first teacher, we can deepen our understanding by reading these books that the Earth Journeys team put together! Coyote mentoring is a method of learning that has been refined over thousands of years. 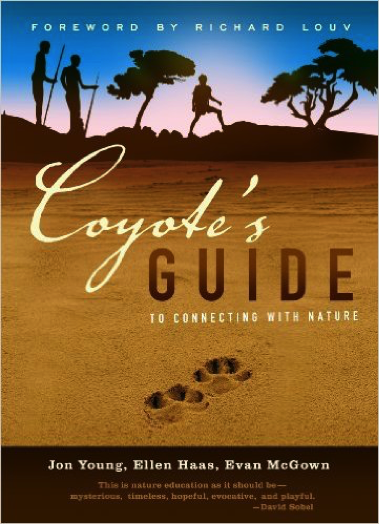 Coyote’s Guide to Connecting with Nature reveals this approach and what happens to student and teacher during the mentoring process. Strategies like questioning, storytelling, tracking, mapping, and practicing survival skills will inspire student curiosity and encourage self-sufficiency. Background information will help facilitators feel more confident in introducing new ways of experiencing and learning about the natural world. The author, Jon Young, founded the 8 Shields Institute to help with developing a best-practices process for mentoring and nature connection work. Coyote’s Guide to Connecting with Nature will change the way you walk in the woods. Click here to purchase. 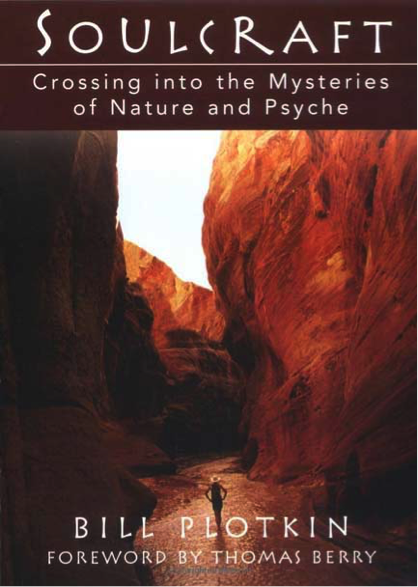 Since 1980, depth psychologist Bill Plotkin has been guiding women and men into the wilderness such as the redrock canyons and snow-crested mountains of the American West- but also into the wilds of the soul. He calls this work soulcraft. There’s a great longing in all people to uncover the secrets and mysteries of our individual lives, to find the unique gift we were born to bring to our communities, and to experience our full membership in the more-than-human world. This journey to soul is a descent into layers of the self much deeper than personality, a journey meant for each one of us, not just for the heroes and heroines of mythology. A modern handbook for the journey, Soulcraft is not an imitation of indigenous ways, but a contemporary nature-based approach born from wilderness experience, the traditions of Western culture, and the cross-cultural heritage of all humanity. Click here to purchase. Permaculture design typically focuses on designing landscapes for optimum efficiency and sustainability. 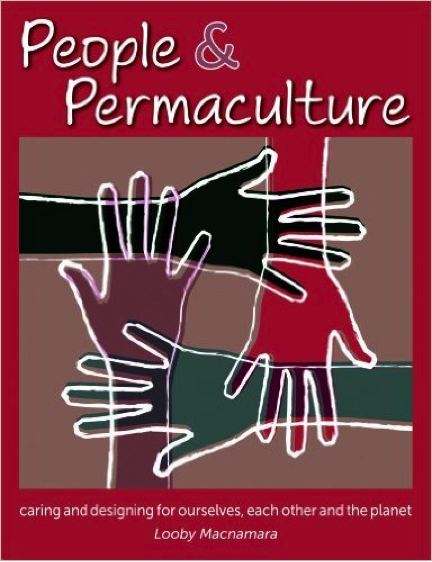 People and Permaculture is a refreshing perspective on applying the same permaculture principles to personal development and our relationships. When we observe our own patterns, just like observing the patterns of nature, we can begin to positively transform our own lives. This book goes beyond explaining concepts by providing comprehension activities, frameworks and design methodologies that can be applied immediately to your curriculums or daily life. Click here to purchase. Our world is exposed to extraordinarily horrific stories about famine, genocide, wars, climate change and so much more. For a lot of us the scale of global crises is hard to swallow and can create widespread apathy. Coming Back to Life provides a way for our culture to turn apathy into meaningful action by addressing and moving through the despair hidden deep in our consciousnesses. The book provides many great exercises that can be used to support individual or group processes to empower The Great Turning. 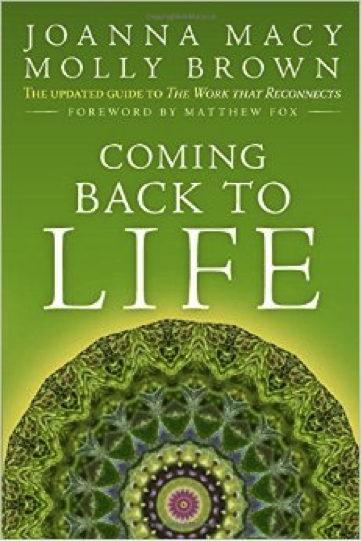 The original Coming Back to Life has helped people transform denial, despair and grief in the face of the social and ecological challenges of our time. This new, completely updated edition repositions the classic work within the context of deepening global crises and the cognitive, spiritual and perceptual revolutions occurring all around us. Click here to purchase. 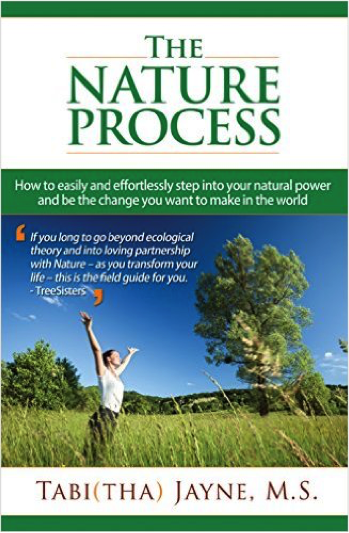 The Nature Process reveals the truth that will fundamentally change your life. We are one with nature. When we consciously connect to nature we plug ourselves into the most powerful source of energy known to humanity. Part personal story and part how-to, in this book Tabitha Jayne extends an invitation to experience connection to Nature as the catalyst for dissolving limiting beliefs and energetic blockages in order to create the life you really want. Click here to purchase. 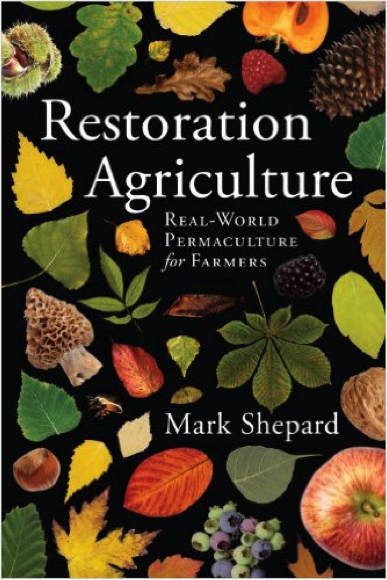 Restoration Agriculture explains how we can have all of the benefits of natural, perennial ecosystems and create agricultural systems that imitate nature in form and function while still providing for our food, building, fuel and many other needs. It provides a comprehensive how-to for anyone looking to utilize permaculture principles and practice regenerative and responsible farming methods. If you are what you eat and what you eat is impacted by how it’s grown, then how we produce food is one of the single biggest contributors to our wellbeing as individuals and a society. For those interested in justice in food systems, Mark Shepard outlines a method that could change the face of agriculture and our society. Click here to purchase. The Four-Fold Way is an anthropologic study of the ancient wisdom from cultures around the world. Author, Angeles Arrien is leading expert on native spirituality and shamanism and uses the four archetypal principles of the Native American medicine wheel to demonstrate how we can work towards higher spirituality, a more balanced self and a better world. The book is divided into 4 sections that are connected to the four seasons and four archetypes that all humans are believed to have. Each section explains the archetype, traditional ways of seeing it and different ways we can practice being more balanced or connected to each part of ourselves and the natural world. This is a great book to have around to help stay in touch with ourselves and our true nature as humans. Click here to purchase. 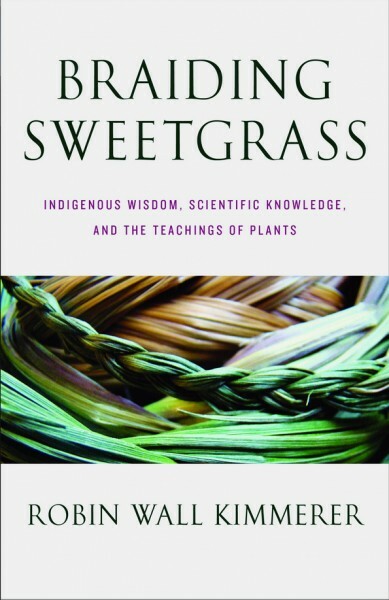 Braiding Sweetgrass is somewhere between a memoir, biology book and a document of storytelling and myth that will are so lucky to be gifted. Robin Wall Kimmerer is a mixed heritage native woman who is schooled in both the western and native ways of knowing and understanding the natural world. She is therefore a natural bridge between the two worlds and in invaluable asset in helping us understand what steps we need to take to find solutions to the problems we face both socially and environmentally. I have taken to reading this book out loud to people as it is so beautifully written and the content feels so relevant to the questions so many of us are asking. Click here to purchase. 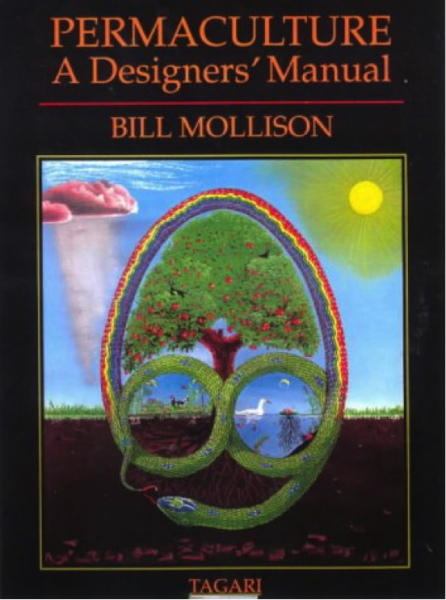 Permaculture : a designers manual is not your average college textbook.The author Bill Mollison, an Australian researcher, scientist, teacher, and biologist, has compiled an account of experience, cultural wisdom, and common sense to demonstrate ways in which we can re-connect with the natural world. Permaculture (permanent agriculture) is the conscious design and maintenance of agriculturally productive ecosystems which have the diversity, stability, and resilience of natural ecosystems. It is the harmonious integration of landscape and people providing their food, energy, shelter, and other material and non-material needs in a sustainable way. Permaculture design is a system of assembling conceptual, material, and strategic components in a pattern which functions to benefit life in all its forms. The philosophy behind permaculture is one of working with, rather than against, nature; of protracted and thoughtful observation rather than protracted and thoughtless action; of looking at systems in all their functions rather than asking only one yield of them; and of allowing systems to demonstrate their own evolutions. Click here to purchase. 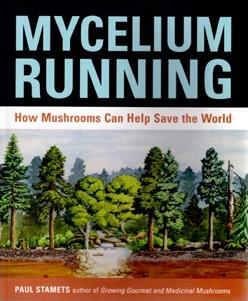 Mycelium Running is a beautiful testament to the power of mushrooms. Written by renowned mycologist Paul Stamets, this book outlines the main role mushrooms play in thee ecology, whilst displaying a wide range of ways they can be utilized to help with some of our biggest problems. “Mycorestoration” Stamets calls it, this practice involves intentional inoculation of land in order to rehabilitate it from misuse. By far one of thee most important bodies of work on ecological restoration and preservation,while simultaneously providing a big role for us humans to play. Click here to purchase. If you would rather be out exploring your true nature over a long weekend with an intimate group, check out the next Earth Journey! I also highly recommend Paul Krafel’s book _Seeing Nature_ for learning to see and connect to the patterns of flow that nourish healthy living patterns. Walden, Sand County Almanac, One Straw Revolution. All very well written too.